The magnificence of Europe is best seen and experienced along its massive river network. 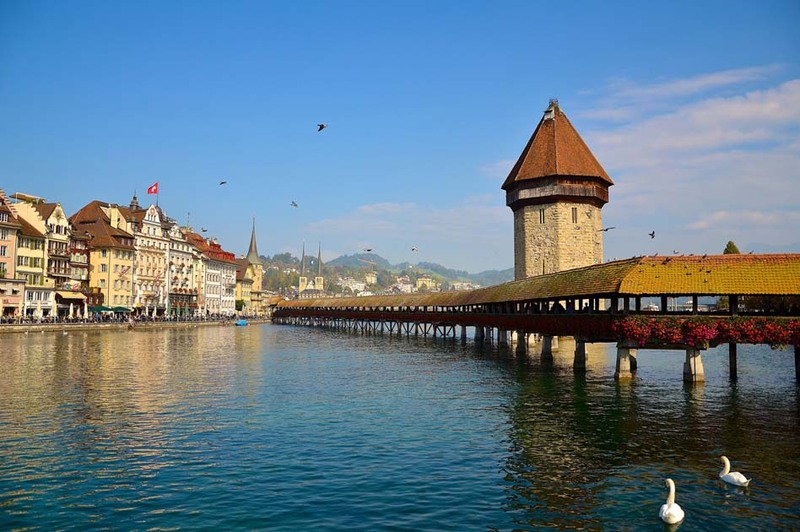 This outstanding river cruise begins in Switzerland and continues through the heart of Europe to the Netherlands. It is a feast in every sense of culture, history and riches. Historically, people lived close to the rivers in Europe as they were the principal routes of commerce and trade. We wind our way along the mighty Rhine passing fabled castles and cathedrals and visiting centuries old marketplaces. We journey through Switzerland, France, Germany and Holland in style combining spectacular scenery with cultural enrichment while ensuring that all our creature comforts are met. Planned with the best of river cruising lifestyle in mind, we move at a leisurely pace with most nights spent in port, ensuring restful nights complimented by days filled with scenic cruising and joyous touring. Virtually everything is included: most meals, all taxes, all gratuities, even most of your shore excursions, leaving you free to enjoy every minute of your cruise holiday. Tour members from across Canada depart with Air Canada to Zurich, Switzerland. 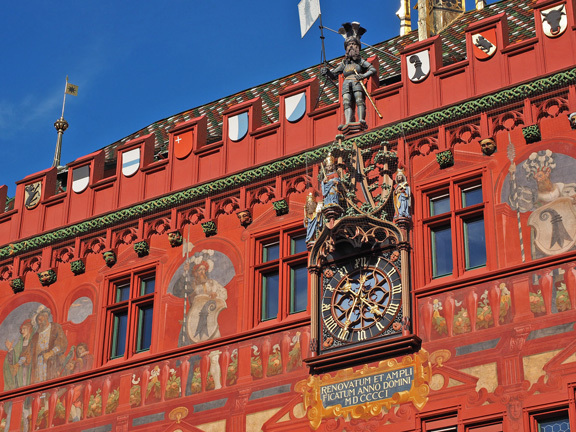 We explore picturesque Zurich by foot today, including Grossmünster church, St. Peter which features the world’s largest church clock face, the Old Town, Town Hall and Fraumünster, which was fully renovated in 2004 and now offers an exceptional 360° view of Zurich. The afternoon and evening are free to explore the town on your own. After breakfast, enjoy a walking tour of this medieval gem. See some of the city’s lovely cobblestone streets, monuments, fountains, public squares, covered bridges and colourful frescoed buildings. The afternoon offers free time to shop for Swiss-made watches, knives and delicious chocolates. Today we have the opportunity to choose from two exciting excursions. 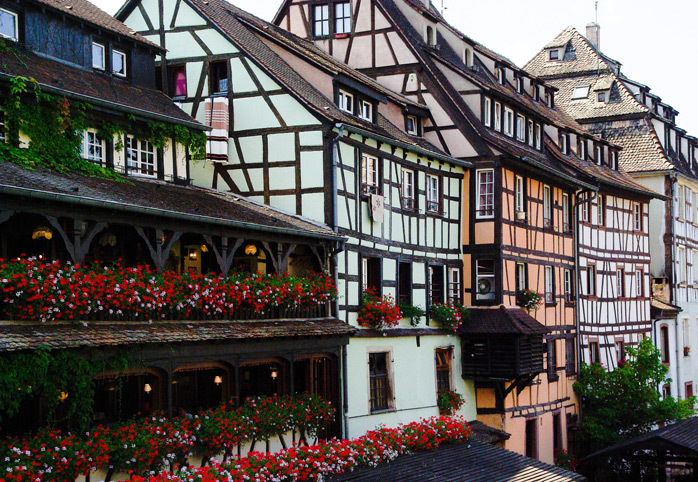 The first is a walking tour of Riquewihr, a picturesque French town that looks much as it did back in the 16th century. A second option is a walking tour of Breisach and Freiburg, Germany. Breisach is a beautiful town that houses one of Europe’s largest wine cellars. In Freiburg, you will visit the historical city centre and the Augustinerplatz, site of Freiburg Münster, a red sandstone Gothic cathedral. 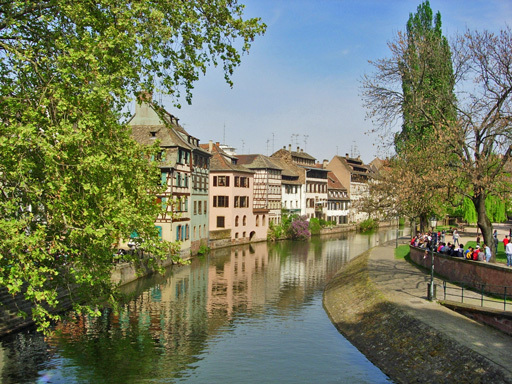 This morning we arrive in Strasbourg, the capital of the Alsace region in northeastern France. This picturesque town is most known for its black and white timber-framed buildings, covered bridges and medieval watchtowers. We enjoy a city panoramic tour which will take us past the Orangery, the town’s oldest park, the European Parliament and the Place de la République. Afterwards, enjoy a walking tour of the charming “La Petite France” district, with its sandstone Gothic cathedral and famous astronomical clock. The remainder of the day is at leisure. Ludwigshafen is our gateway to choose from three excursions. Enjoy either a tour of Medieval Speyer, one of Germany’s oldest cities, known for its Cathedral, churches, and the Altpörtel, a 13th century gate tower. Or you may decide to take an excursion to Heidelberg and visit the red-walled Castle and its Great Vat, a 49,000-gallon 18th century wine cask, and see beautiful views of the Neckar Valley and Heidelberg below. For a more active adventure while in Heidelberg, join a guided hike up the Philosopher’s Path instead. This evening we continue to Rüdesheim where we can choose to either visit the mechanical music museum or enjoy a local coffee experience. We continue our exploration of Rüdesheim this morning. You may wish to enjoy a wine tasting at a local vintner or take a gondola ride above the town to see the Niederwalddenkmal Statue. Some free time will be available to explore the Drosselgasse, a narrow alley lined with wine taverns and restaurants. This afternoon we cruise through the Rhine Gorge, the most stunningly beautiful stretch of the river, with hillsides dotted with fairy-tale castles. After our arrival in Koblenz we shall visit Lahneck Castle. After a leisurely morning of cruising to Cologne we arrive and explore the city on a choice of excursions. Enjoy a guided tour through the old town, Cathedral Square, and visit the fabled 13th-century gothic cathedral, or a local specialties tasting tour including a Kölsch Beer and Reibekuchen - potato pancakes served with apple sauce. The ship departs this evening for Amsterdam. 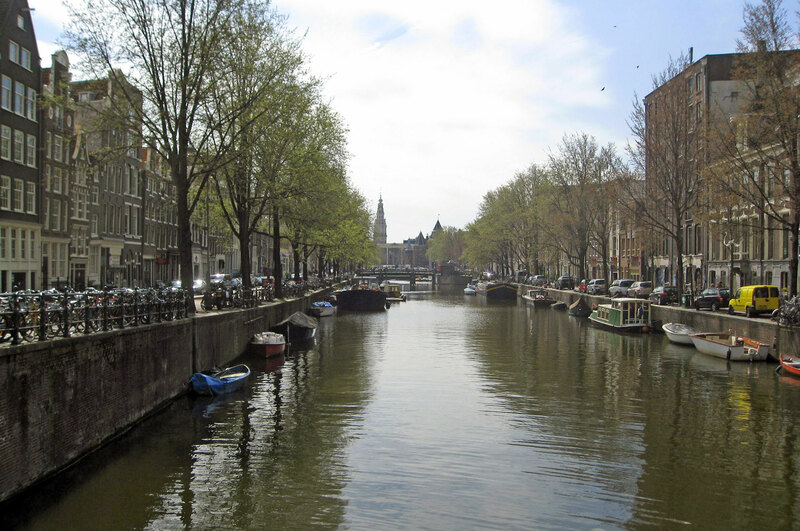 After breakfast, our tour of Amsterdam begins with a scenic canal cruise through the city known as the “Venice of the North.” See the beautiful homes that line the water, the fabled Skinny Bridge, and the famous house where Anne Frank once lived in hiding during WWII. Enjoy a panoramic city tour of the great landmarks of Amsterdam, including a picturesque windmill. Alternatively you may opt for a Jewish Heritage tour with a visit to the 17th century Portuguese Synagogue and the Jewish Historical Museum that chronicles the history of the Jewish community in Amsterdam. Afterwards, enjoy some free time to explore Amsterdam before returning to the ship. Bid Farewell to Amsterdam and prepare for our homeward flight. For our cruise on the beautiful Rhine we will have the pleasure of sailing on the ms AmaKristina, which made its debut in 2017. This deluxe 158 passenger vessel will feature modern design elements along with all the fine amenities that we have come to expect from AmaWaterways. We will be travelling in spacious comfort in beautifully-decorated cabins that include private bathrooms, a small sitting area, a writing desk, a flat-screen television with complimentary Internet and first-run Hollywood movies, ample wardrobes, individual temperature controls, a safe, and a telephone. All cabins come with twin beds that convert to one large bed if you so choose. Enjoy spectacular views of the river and countryside through large picture windows in cabins on the Piano Deck, while all cabins on the Cello and Violin Decks offer French balconies with full-height glass doors that open and many with Outside balconies as well. Do step out of the luxurious comfort of your cabins occasionally, however, as the rest of the ship is equally inviting! Enjoy fine culinary creations in five separate dining venues, watch the scenery go by as you unwind in the entertainment lounge or wine bar, take advantage of the fitness facilities that include a heated swimming pool, a walking track and a fleet of bicycles (for the more adventurous), or simply indulge yourself in the spa with a massage, hair or beauty treatment. There is a small elevator with access to all decks except the Piano and Sun Decks. Smoking is not allowed within the ship. The ship operates exclusively in English. Rates are per person based on sharing a Cat E Outside Twin on Piano Deck. Airfares from other gateways are available on request. Airfares and air carrier are subject to change and will be confirmed prior to final payment. Refer to Inclusive Features for details. *Categories BB up through Suite have multiple balconies. Stateroom categories are subject to availability at time of booking - book early for best choice. See deck plan for full details on various categories available. Singles are extremely limited - please ask for rates. River cruise price is based on sharing a twin-bedded stateroom with private bathroom. Prices are based a minimum 20 members and on rates, taxes, and fees effective April 2018 and are subject to change due to factors beyond our control. This river cruise will be escorted with a minimum of 20 travellers. Prices DO NOT INCLUDE the cost of insurance which is available and is highly recommended. Premiums vary with the cost, length of the trip, and the traveller’s age. For passengers up to and including 74 years on departure date, premiums will range from $314 to $486 pp plus applicable taxes. Cost supplements for travellers aged 75-85 will range from $191 to $404 pp plus applicable taxes. This insurance is effective from the date of purchase and carries limitations on pre-existing medical conditions. Please discuss your insurance coverage prior to booking.